urban TEE sells t-shirts that have pop culture references. They began selling in flea markets and are now in 3 major shopping malls. Pop culture is the entirety of ideas, perspectives, attitudes, images or any other phenomena that are currently trending on mass media. A long long time ago—way before memes in their current form were part of pop culture—one Malaysian realised the impact of pop culture and how society relates to it. In 2007, Vincent Lim decided to quit his current job and “be his own boss” by starting urban TEE, which began by selling t-shirts related to pop culture online and also in flea markets. To get the different kind of t-shirts, he had to source it far and wide. “Specifically, music or rock t-shirts, funny t-shirts from local t-shirt vendors,” he said. Two years in, urban TEE started making their own designs. Starting with less than 100 t-shirts on hand, they were only able to provide 2 sizes which were M & L.
As business was growing, they opened up a second stall in the flea market. In the beginning, they were the only stall in the flea market selling t-shirts. It was only a matter of time before someone else copied their idea. 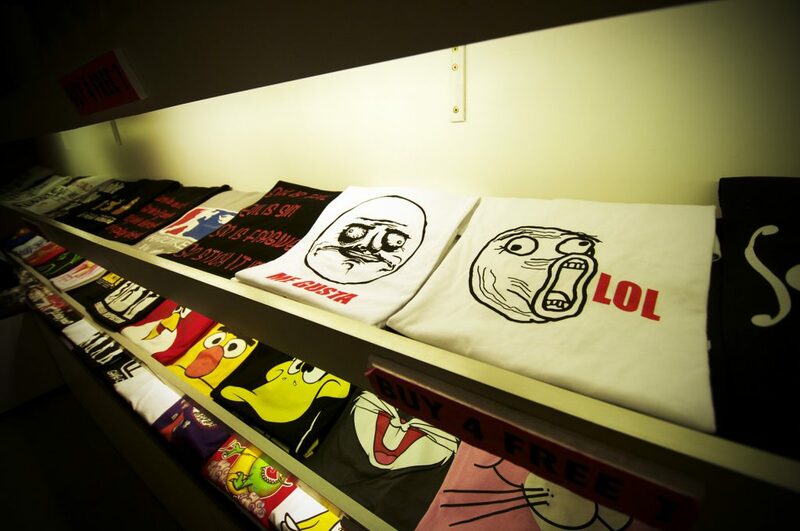 “Towards the end of 2007, there were easily 6 to 8 stalls selling all kinds of t-shirts.” Vincent said. 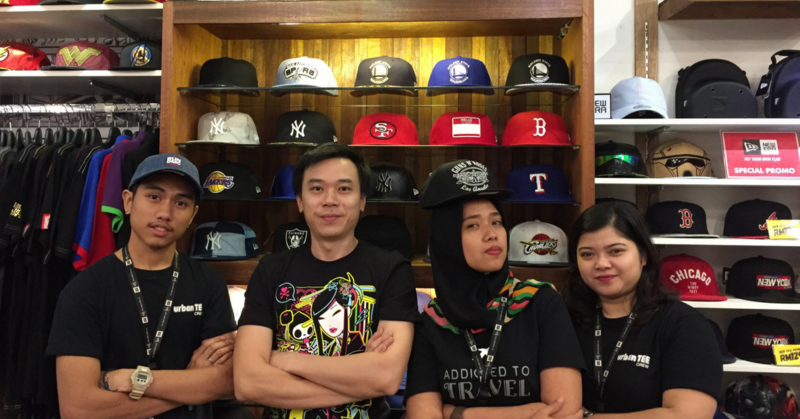 Hence, they thought it was time to open up their first physical store in Sunway Pyramid. They began small with only limited stocks but a wide variety of designs. Once the store’s business picked up, they opened stores in One Utama, Empire Shopping Gallery (now closed) and also Paradigm Mall. Before they produced their own t-shirts in 2009, they were sourcing their stocks from both local and overseas vendors. This carried the risk of getting unlicensed products, because many of the pop culture brands were unavailable in Malaysia. Vincent stated, “We always tried our best to get in touch with the actual licensees of the brands we wanted to carry.” However, during the early years, pop culture licenses were very limited and those that were available were not brands that urban TEE wanted. They also tried contacting the brand owners in USA to find out where and how their products can be purchased but it only fell on deaf ears as they were ignored or rejected. 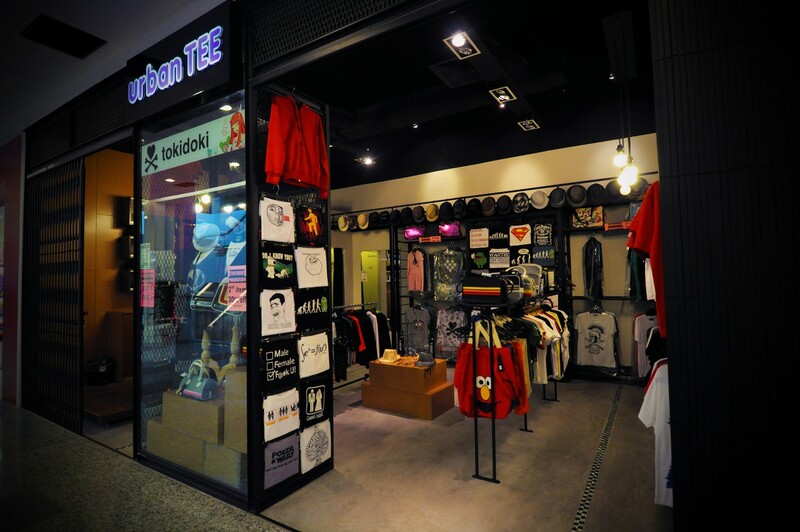 Thus, urban TEE decided to purchase the products in bulk from other countries including, Australia, Hong Kong, Taiwan, Singapore and Thailand. They tried their best not to infringe on copyright so that they did not break any laws. However, they did get into trouble with the law locally. “We got into trouble with KDN (Kementerian Dalam Negeri) numerous times for selling t-shirts with statements deemed too vulgar, or unsuitable for persons below 18. Every time, 10 to 50 t-shirts were confiscated,” Vincent said. Overseas, many retail stores have been forced to close down due to shoppers preferring to shop online rather than offline physical stores. In Malaysia, we have a unique problem added on top of that mix. “The number of malls has doubled or tripled compared to 10 years ago, but the number of potential customers has only increased by 20 to 30%,” he added. However, for the rest of the online retail experience, Vincent has a positive outlook as he notes that Malaysia is not Amazon’s priority and that they are ready to face the online market. They have been spending much more of their resources online, investing on their website and social media in the past couple of years. Currently they have a wide array of pop culture brands. You’ll also see memes and other very recognisable logos or figures on their clothes. And as for the branding and licensing, that’s changed since they’ve started out. In the near future he hopes that they can become the IKEA of pop culture by bringing in more brands and opening more physical stores in urban shopping malls. He also adds that they are looking at selling their products to the overseas market too. After many years in the retail business, Vincent would like to give some advice to hopeful entrepreneurs willing to join the force. You can find out more about urban TEE and their products here.